Giving racism some room in the 4th dimension. tic-tac. 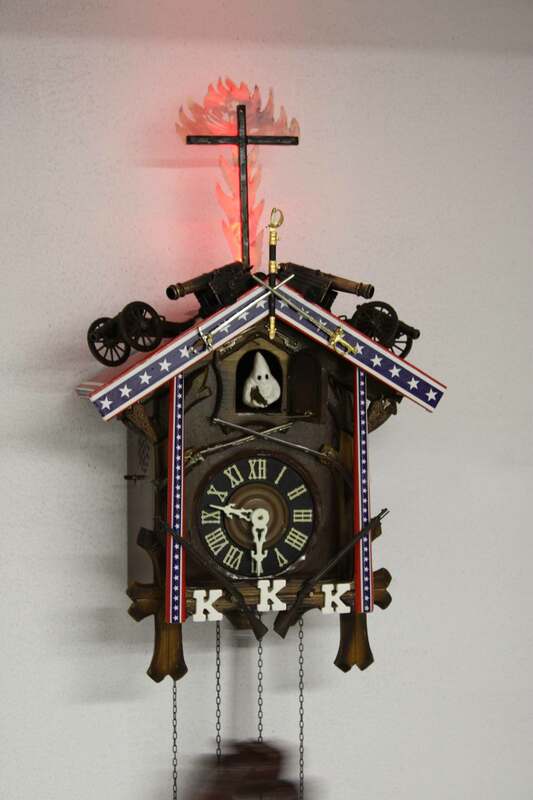 The world's first extremist cuckoo clock. Especially made for home-practicing radicals with a predilection for the burlesque. Part of The World's First - Series.